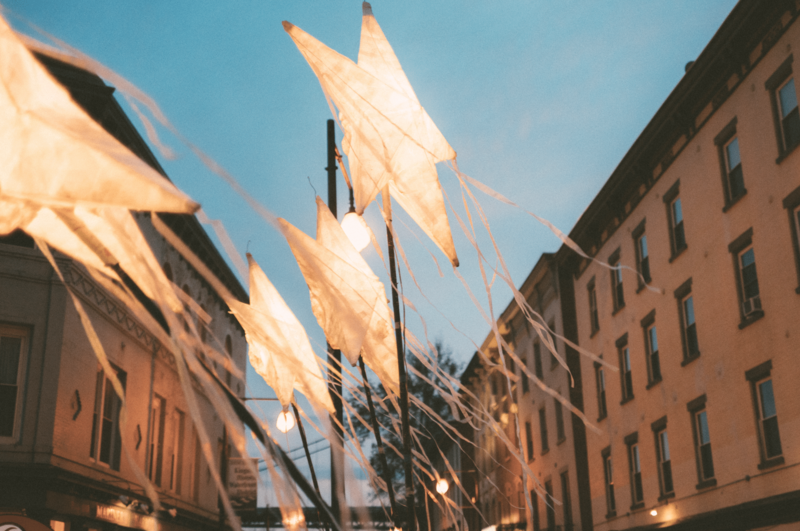 Kingston’s Sinterklaas is an interfaith and intercultural holiday tradition that unifies the neighborhoods of the city through creativity--mixing history, fable and fantasy to inspire imaginations and participation of all ages. We will be showcasing a variety of artists and makers from our community to celebrate the wonderfully rich maritime and immigrant history of the Rondout. Sinterklaas departs from the historic Kingston Waterfront (aka “Spain”) after a full day of open houses, musical performances, workshops creating beautiful crowns and branches, and a Children’s Maritime Parade down Broadway, with stars and puppets galore. Kingston sends off Sinterklaas and his white horse on a tugboat across the river to his destination there. The send off will culminate with a shadow puppet show celebrating Kingston's folklore maritime history and plenty of specials at all of the local restaurants. Free activities for the whole family will begin at noon and the parade will take place at dusk along Broadway in the Rondout. Stay tuned and in the know for all things Sinterklaas. Follow us on Instagram and Facebook for more!